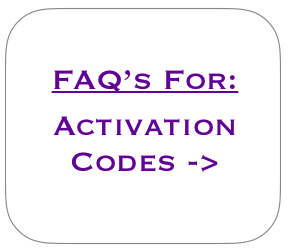 Why does Love inspiration use activation codes? For over four years, from their inception, Love Inspiration offered attunement activations via a ‘Request An Attunement’ form which was available on this website. Here, individual recipients would request the activation of the energies for a specific ebook prior to commencing each course. Once Love Inspiration had activated the energies (unlocked them), the recipient was then able to move freely through the ebook & course, receiving the energies, teachings and attunements as directed. With time, Marty and Gerry began to receive more and more attunement requests each day and in order to continue fulfilling their divine purpose, the Guides brought through a change in how the ebooks and teachings were to activated starting in early 2017. In essence, what this meant was that recipients would now be able to activate or unlock the energies themselves prior to commencing any ebook.